Tuesday, August 21st at 11a.m. EST I will be back on the air via BLOG TALK with 411 VOICES Radio. Once again, sharing a time slot with Dara Blaker on the the program, ARTS, ENTERTAINMENT and the BUSINESS OF IT ALL! I will be chatting about Back To School items for Special Needs Students. 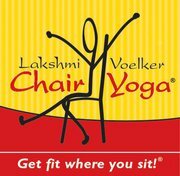 Come join me and learn about GET EDUCATED, LAKSMI VOELKER Chair Yoga and the newest tech tools from T-Moblile!